Pilates certifications can be snagged in a weekend or take several years and hundreds of hours to earn. I invested two years studying for my comprehensive certification which also included an apprentice program. I delved deeply into anatomy, biomechanics and how to work with injuries and limitations. It’s a fascinating and endless journey. More than ten years later, I am still teaching, still continuing to learn and loving how Pilates transforms my clients’ bodies and spirits. Ask about specialties. Some instructors focus on populations such as seniors, pre/post natal, back pain, rehab or high performance athletes. Like yoga, Pilates has evolved through time. Today, there are a variety of styles but core development is fundamental to them all. Among the most well-known trademarked brands are: Stott, Power Pilates, Balanced Body, Core Dynamics, PhysicalMind, Polestar, and Romana’s Pilates. But a trademark doesn’t necessarily ensure quality instruction. And it takes years of experience to assess a client’s need physically and emotionally. Clients have come to me with great stress, migraines and injuries. I must create each session on the spot to meet the client’s needs on that day. Fortunately I have been well-trained and joyfully continue my education. That gives me a deep repertoire of skills and tools from which to build each session. A web search will result in lots of choices and can reveal a lot about a place. What’s the vibe? Warm and welcoming? Super intense high energy? Look at the pictures and the language. Do they communicate well? What do the instructors say about themselves? Look for client testimonials and consult Yelp. Do you want super private experience with no one else in the space? When you speak to someone, ask questions that relate to what you are looking for (general fitness, weight loss, balance, flexibility etc). Good instructors will ask you questions too. That will reveal their level of experience and care about new clients. Know that most studios are small businesses and you may have to leave a voice message. Don’t let that put you off. Leave a message. They should of course call you back in a timely manner. What attracts you to Pilates? Taking a mat class is an inexpensive way to check out a studio and discover if the place simply feels right to you. Also, many studios offer discounted rates for first time clients. Fitness and counteracting the stresses of everyday life are among the main benefits of any exercise discipline. Ultimately, Pilates can reduce stress, increase energy and help you feel at ease in your own skin. You’ll feel more balanced, flexible and lighter. Well worth the search for a quality instructor whose personality and experience matches your needs. Reach out to me with any questions or comments about your search. I’d be happy to offer what I know. 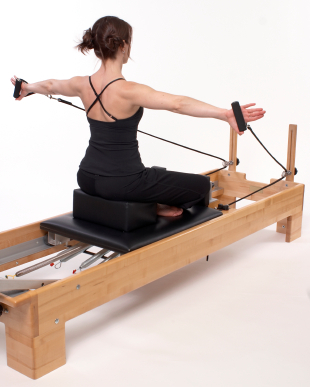 to find a qualified pilates, it can really be easy as well.